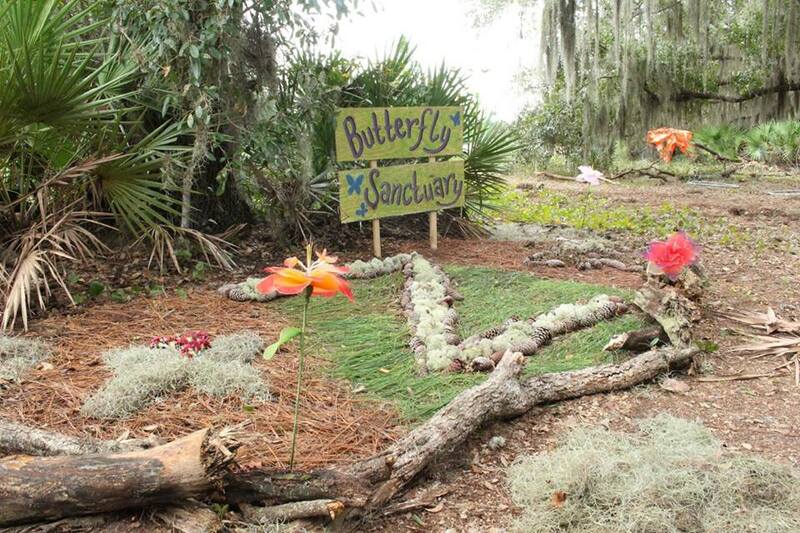 Themed around beauty, transformation and education, our Butterfly Sanctuary is home to Zen Awakening’s Butterfly Garden, Sonic Butterfly’s Earth Harp, Dreams of the Last Butterflies, Butterfly Woman, and our Community Butterfly Gallery. The enchanted Butterfly Sanctuary will also host workshops and activities such as permaculture, edible and medicinal plants, growing your own vegetable garden, wildlife preservation, environmentalism and spoken word all while bringing critical awareness to the plight of the butterfly. Zina Brown’s unique visual and narrative style has been screened in film festivals across the world and is bringing his award-winning short film, Dreams of the Last Butterflies to Zen Awakening Festival. With over 15 years of directing and producing experience, Zina’s films display an emphasis on dreams and fantasy, and his commitment to wonder and entertainment is matched by his ability to capture otherworldly performances and places in his films. Dreams of the Last Butterflies is one of the first carbon-neutral films made and produced in NYC, while raising awareness of conservation needs. Combining poetry, song, dance, flame throwing and other artistic flair, this performance-film will spellbound from start to finish. Dreams of the Last Butterflies is a mini-epic, live-action “Dark Faerie Tale”, with a unique environmental message. Masami Koshikawa was born in China, raised in Japan, and has been living in America for over 10 years. Masami achieves a unique form of collaboration between her mother and herself. Her recent work, “Butterfly Woman” is a metaphorical journey of Masami’s transformation as an artist, mother, and Japanese woman who has integrated into Western culture. The origami portrait of her son provides a unique way of seeing her family portrait. The portrait is created by thousands of origami that her mother folds in Japan. It’s suggestive of her family bond and healing. The Origami Disco Ball is created with approximately 8,000 silver origami butterflies. It gives one a sensational feeling. It is a gesture of healing to the world. Sonic Butterfly Yoga takes you on a vibrational, rhythmic, physical, energetic and conscious journey of transformation, combining the unique teaching style of yoga teacher, Andrea Brook, with the exquisite music of Sonic Butterfly. The ascending overtones and healing harmonics of long string vibrations provide the perfect soundtrack for the yoga practice, as they transmute and sublime one’s energy to promote physical/energetic health and creative inspiration. We welcome all artists, vendors and butterfly enthusiasts to become a part of our Community Butterfly Gallery. We accept all butterfly inspired bodies of work whether it’s a painting, drawing, jewelry, poetry, article of clothing, accessory, or giant butterfly origami disco ball. 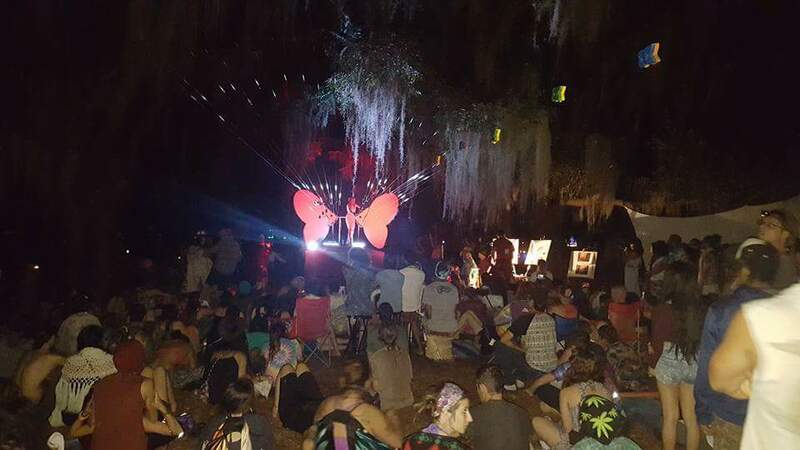 Bring your butterfly and faerie wings to wear to our sanctuary and spread your magic throughout the festival grounds! Florida native plants can offer the perfect solution to creating a Butterfly Garden. Drought tolerant and requiring minimal care, Florida native plants can provide food to a wide range of butterflies and other important pollinators. Discover the long established symbiotic relationships of butterflies and plants in this fun-filled presentation with the City of Orlando’s Director of Leu Gardens, Robert Bowden. Growing edibles in Florida can seem like a daunting task for gardeners. Discover how easy and fun it can be to grow a diverse variety of vegetables in your yard or community garden by attending this demonstration. Presented by the City of Orlando’s Director of Leu Gardens, Robert Bowden, learn how a small space can produce more food than you thought possible!